Take Shahjahan & his dream to build Tajmahal, Mix it up with the Current System, Formalities & Corrupt Officers, Sounds like an interesting recipe, isn’t it ?? Watch how Humour unfolds in an interesting experiment by students of Rangayan Theatre & Acting Workshop !! 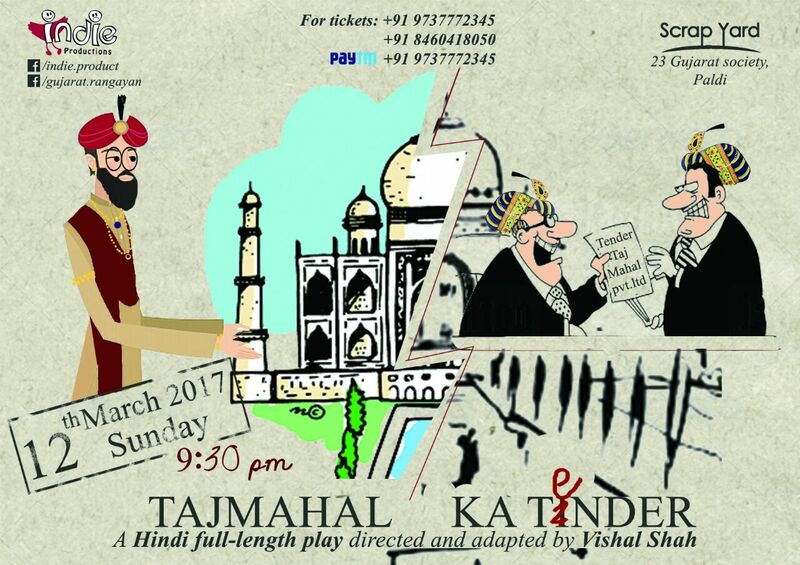 Based on the story by Shri Ajay Shukla, the play is an attempt to show how the system works and how humour unfolds if someone from the past wants to achieve something in current scenario.